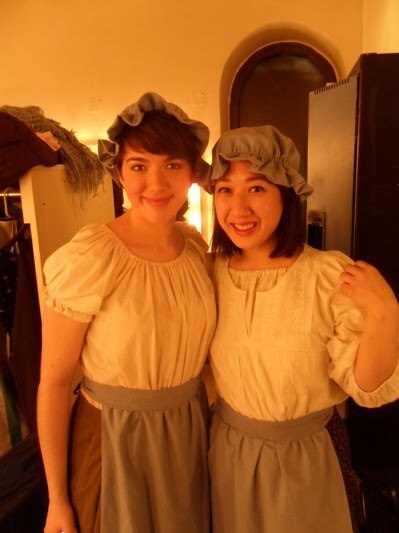 The Choir Girl: Gala Success! Another Broadway Gala has come and gone. The biggest difference this year? It was the best yet! 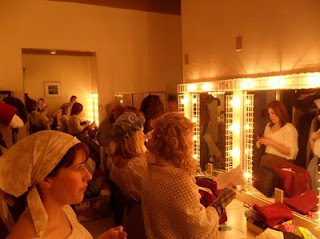 We kept everything clean and simple due to Victoria's suggestion of using the concert version of Les Miserables and keeping our choreography to a minimum. We just did what we do best: sing. It was the least stressful year ever. No rummaging through bargain bins for costume pieces, no last-minute rehearsal of choreography steps backstage, and no unnecessary microphone swaps on stage. The soloists were all amazing, Martin Murphy played Jean Valjean with passion and sensitivity, the "Little Fall of Rain" death scene between Marius and Eponine was tear-inducing during both performances, and Rob and Erin were hilarious as the Thénardiers, Victoria was a moving Fantine... I could go on and on about everybody, even those with the smallest solo lines made it their own. The men chorus was so fun to watch because they're just so expressive and they always look like they're having such a great time. Even when their backs are turned away from the audience they are radiating energy in their actions and facial expressions. It just felt very much like a professional production. 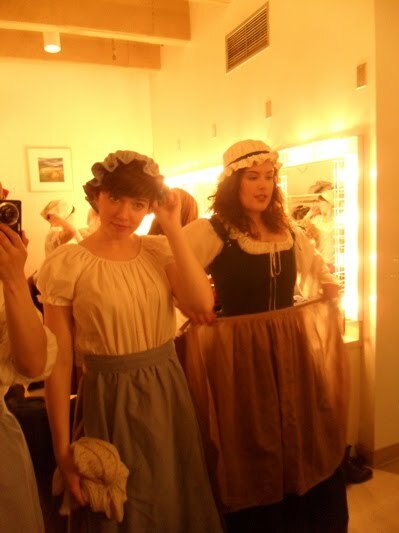 We had some costume components supplied to us so we really looked unified and we had a fantastic pianist and drummer in the orchestra pit leading the instrumental music. Also, we had a delicious pasta dinner supplied for us complete with home baked muffins for dessert. You know things are professional when you are well-fed! It is a pleasure to do the Broadway Gala because everybody takes such pride in what they are doing and it really translates to the energy on the stage. There was one man from the chorus who had to do continuous costume changes in the wings of the stage, since he had to play a different small character in almost every scene, and he just did it with such grace and efficiency. It just shows how everybody's collective effort can produce an amazing show in a relatively short amount of time when everybody takes care of their own details. 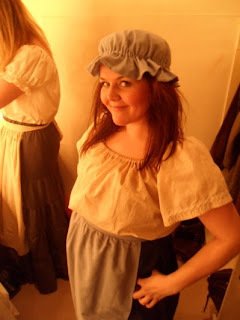 We just started rehearsing at the end of January and all of the blocking was done the week before the performance. We had a sold-out Saturday night show and our Sunday matinee was 80% sold. Not bad at all! On Saturday night there was an amazing reception and it was lovely to catch up with choristers from the past and audience members. It feels like a mini-reunion of sorts since the people I'm lucky if I can see some of them once a year. Overall, it was a fantastic weekend. I'm feeling a bit fried from the busy rehearsal and performance schedule but I had a fantastic time doing it. Enjoy some pictures from the show below. Until next time, take care and stay warm! 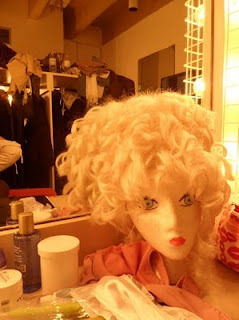 Backstage in the Belle's dressing room. Factory worker outfits.